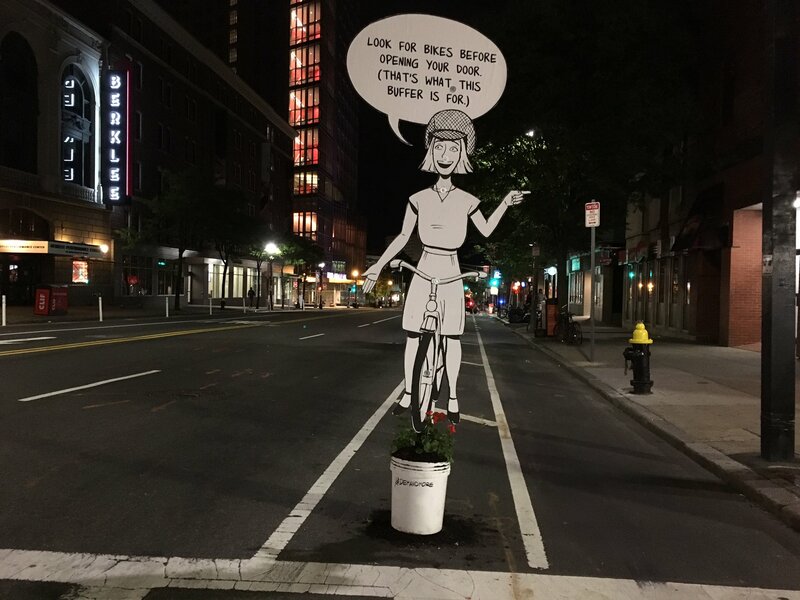 Cycling advocates in Boston have resorted to using life-size cut-outs as a means of persuading city officials to make bicycle safety more of a priority. 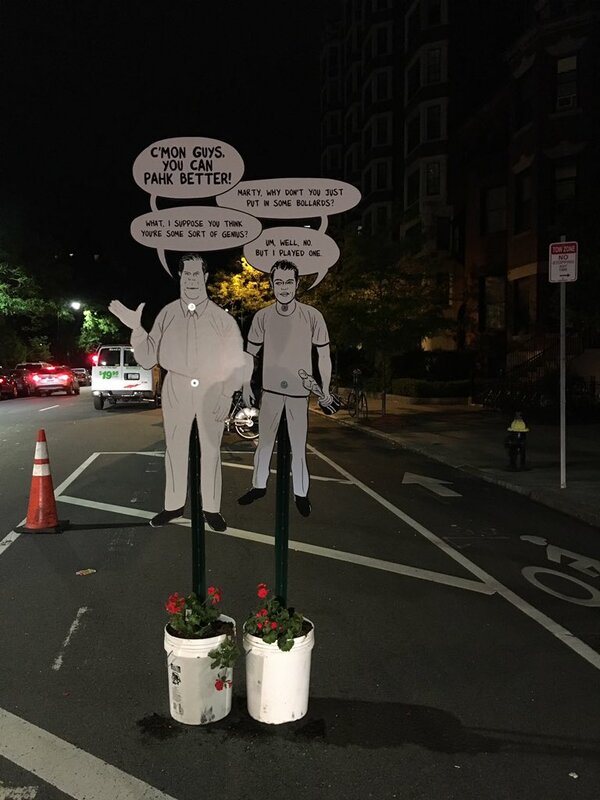 Indeed, over the weekend life-size cut-outs began appearing along Boston’s Massachusetts Avenue, serving as both a message to Mayor Martin J. Walsh, pointing out the need for the city to improve its cycling infrastructure, as well as urging motorists to more scrupulously honor the rights of cyclists. 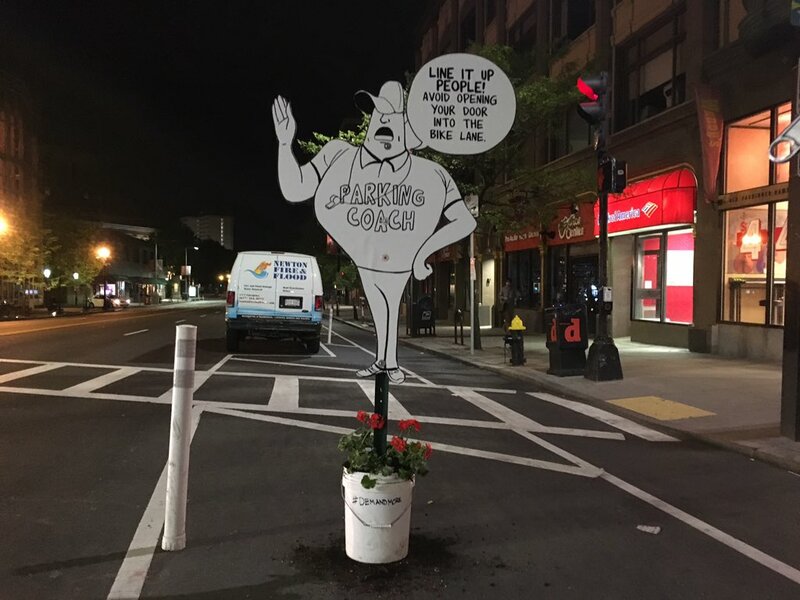 Another cut-out depicts a caricature of the mayor himself, who last week was criticized by cycling advocates, after he told a radio show that pedestrians and cyclists needed to take more responsibility for their own safety. Earlier this month, a 29-year-old cyclist was killed in the city’s Back Bay area, after being struck by a hit-and-run driver. 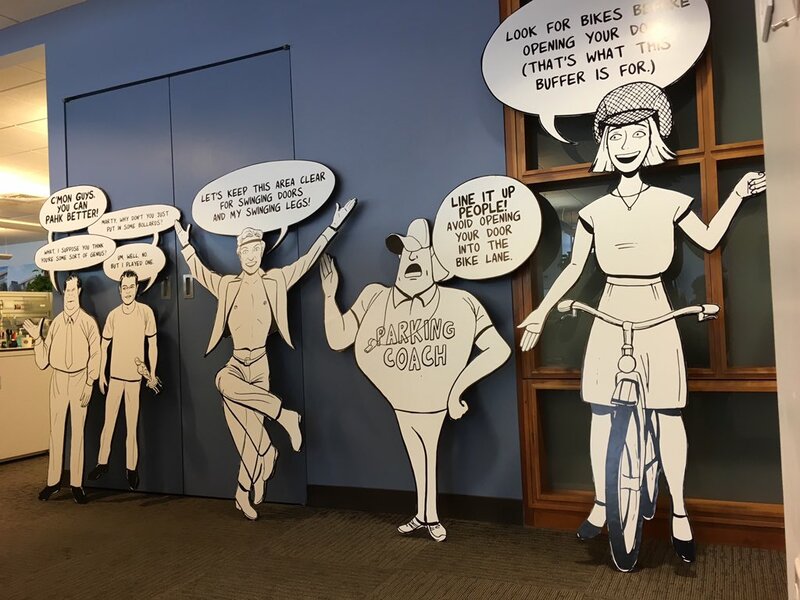 Shortly after the interview, bicycle and pedestrian safety advocates called out Walsh for what they say were misguided and misinformed statements which seemed to place more blame on cyclists, than motorists. In an e-mail to the Globe, the group’s executive director, Becca Wolfs, said they were “extremely disappointed to read and hear the interview” with Walsh, which was published on WGBH’s website shortly after it aired. Wolfs believes city officials should be focussed on making the streets safer, rather than blaming victims. Thompson further added, that Walsh’s comments conflict with the administration’s Vision Zero goal, which aims to eliminate serious traffic crashes in the city by 2030. “This is a step back,” she said. Another Boston-based cycling advocacy group, StreetPAC Mass, which works to elect officials who vow to improve the safety of city streets, also weighed in on the issue. In response, a cut-out caricature of the mayor himself, shows Walsh receiving advice from Boston native and academy award winner, Matt Damon, who grew-up just across the Charles River in Cambridge, Massachusetts. 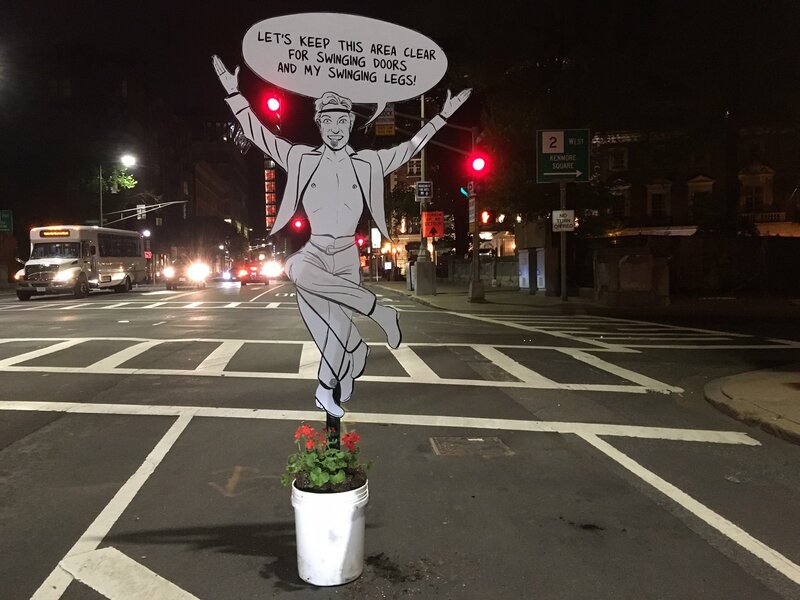 Jonathan Fertig, who led the efforts to design and installed the cut-outs, said despite the heavy rain over-night the weekend, they were still in place this morning.